Finding the right place to be is a necessary first step to being there at the right time. 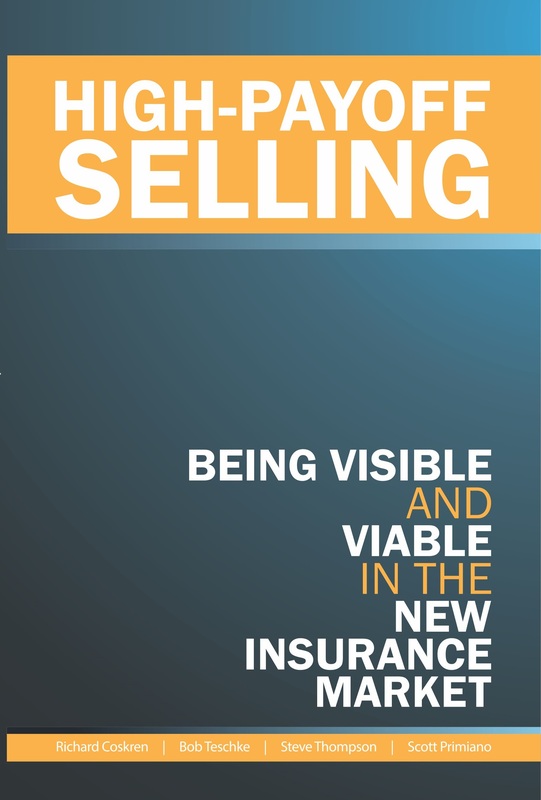 In today’s highly competitive insurance marketplace, agents and brokers continue to look for ways to increase sales, improve retention, be more efficient, and increase profit margins. While most agencies have production and retention goals in place, many are challenged to achieve these results. Recruiting, Hiring, and Training new Producers: Designed to assist in developing a plan for the recruitment of sales talent new to the industry, including their technical and sales skills development. Personal sales coaching can be arranged for up to six months. Cross Selling and Account Rounding: Easy-to-implement strategies on cultivating existing books of business via Cross Selling and Account Rounding. Proactive Referral Development: Developing a proactive process of seeking referrals, an often overlooked goldmine of increased revenue opportunities. Social Media: Developing a strategy to effectively use social media. This service could include building a process to use Linkedln, Facebook, Email blasts, Twitter, etc to more effectively connect with your clients and prospects. Personal Lines (Affluent Market): Developing a strategy in Personal Lines to attract the Affluent Market – an underserved segment of the market. To understand us you must first understand the difference between us and others that consult. Our consulting programs are designed to work within the current structure on an agency to set the stage for our strategic marketing, communications, and performance development programs going forward. JumpStart is not an “off the shelf program”, but an individualized hands on approach that is designed to achieve immediate results. We work with you, we work for you, and we stand by you. And a hallmark of all our programs is the personal coaching that can continue far beyond the initial on-site work, supported by one of our most senior Polestar Consultants. “Polestar Performance Programs, Inc. provided me with the tools to manage my time more effectively and develop specific approach methods to find new customers.” – Christian Carter, CBS Coverage Group, Inc.